Mrs. Georgie Allen, 83, mother of Mrs. Nina Hibbard of 123 South street, Athens, with whom she resided, died at the Robert Packer Hospital Wednesday morning, May 20, after a long illness. In addition to her daughter, Mrs. Allen is survived by 6 grandchildren and four great grandchildren. Prayer service will be held at the home of the daughter, Mrs. Hibbard, this Friday afternoon at 1 o’clock, with funeral services at the Evergreen church at 2:30 o’clock. Rev. Israel Tooley, pastor of the church in Evergreen, will officiate and interment will be in the cemetery at Evergreen. (Daily Review Newspaper, Towanda, PA, Friday, May 22, 1942). Note- Mrs. Nina Hibbard was actually the adopted daughter of Mrs. Allen. Mrs. Nina A. Hibbard, 79, died this morning at the home of her daughter, Mrs. Gerald Finger, Saugerties, N. Y. where she had been living for the past 3 years. She formerly resided in Dushore, Pa. She is survived by three sons, Eric Hibbard, Wysox, Pa., Arthur Hibbard, Athens, Pa., Chapman Hibbard, Nichols, N. Y.; two daughters, Mrs. Doris Coleman, Johnson City, Mrs. Georgina Finger, Saugerties; 19 grandchildren; 13 great-grandchildren; 1 great great granddaughter. She was a member of the Evergreen Christian Church, Evergreen, Pa. Funeral services will be held Saturday at 2 p.m. from the McHenry Funeral Home, Dushore, Pa. Burial will be in Evergreen Cemetery, Evergreen, Pa. Friends may call at the funeral home Thursday evening and Friday afternoon and evening. (C. Press Binghamton, NY, Wed., Sept 10, 1969) - Note- Nina was born to Ira & Lillian Chapman, but Lillian died shortly after giving birth to Nina & she was raised/adopted by Arthur & Georgina Chapman. GRAHAM –ELSIE M. MOSIER, age 89, of Tioga, PA, died Friday, March 28, 2014 at the Green Home, Wellsboro, PA. Elsie was born August 8, 1924 in Tioga, PA, a daughter of Roy B. and Ella M. (Esienhouer) Graham. She was the wife of the late Benjamin "Ben" H. Mosher, Sr. who died August 4, 1998. She was retired from the former A&P in Horseheads, NY. Elsie enjoyed reading, crocheting, jigsaw puzzles, and playing cards. 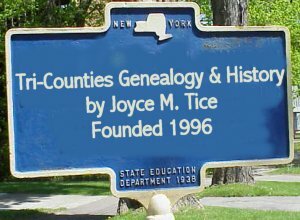 Elsie is survived by 3 sons and a daughter-in-law, Roger Dale Mosher of Elmira Heights, NY, Benjamin Harvey Jr. and Bonnie Mosher of Tioga, PA, Ronald Eugene Mosher, of Tioga, PA; 2 daughters, Judy Kay Smith of Tioga, PA, Carol Ann Camp of Tioga, PA; 11 grandchildren; 10 great-grandchildren; 12 great-great-grandchildren. She was predeceased by her husband, Ben; 4 brothers, Francis, Russell, Donald and Arlis Graham; a sister, Laura Johns, sons-in-law, Nelson Smith and Charles Camp; a grandson, Brian Camp in 1965 and a granddaughter, Linda Mahosky in 2005. Family and friends are invited to call on Monday, March 31, 2014 from 12:30 P.M. to 1:30 P.M. at Buckheit Funeral Chapel and Crematory, Inc., 637 S. Main St., Mansfield, PA. Funeral services will follow at 1:30 P.M. with Rev. Steven R. Neff officiating. Burial will be in Evergreen Cemetery, Tioga, PA. Memorial donations may be made in Elsie's memory to Evergreen Cemetery, c/o Jean Ward, P O Box 19, Tioga, PA.
HIBBARD HELEN L. CARPENTER, age 86, of New Albany, died on Friday, Feb., 11, 2005, at Skilled Nursing Unit in Towanda. She was born on Dec. 3, 1918, in Albany Township, a daughter of the late Prentice W. and Ada Dimmock Hibbard. Prior to her retirement she was employed by Rynveld’s Manufacturing in New Albany. She has been a lifetime resident of Bradford county. Mrs. Carpenter was a member of the Evergreen Christian Church, and had served as a Sunday school teacher, and was a member of the Missionary Circle. She enjoyed quilting, sewing, gardening and flowers. She leaves surviving her children, Duane Carpenter of New Albany, Pa., Donald and Thelma Carpenter of Glenn Daniel, W.Va., Joyce Marsh of Frederick, Md. 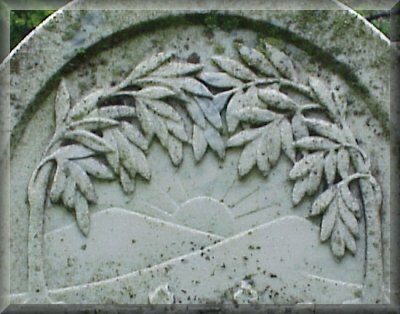 ; a sister-in-law, Dora Hibbard; and seven grandchildren, 14 great-grandchildren, and several nieces and nephews. In addition to her parents, she was preceded in death by a brother Otis in 1972. Funeral services will be held on Wednesday, Feb. 16, 2005, at 11 a.m. in the Evergreen Christian Church, with Pastor Michael Dodd, officiating. Friends and family are invited to call on Wednesday morning at the Evergreen Christian Church from 10 a.m. until the time of funeral service. Interment will be in Evergreen Cemetery. In lieu of flowers, memorials may be directed to the Evergreen Christian Church, c/o Nancy Claudell, RR 2, New Albany, Pa. Arrangements have been entrusted to the Russell P. McHenry Funeral Home, 119 Carpenter Street, Dushore, Pa. –Towanda Daily Review. HIBBARD Effie RETTBUERG Hibbard. Maud was a graduate of the New Albany Joint High School class of 1933 and was a graduate of Practical Bible Training School in Johnson City, N.Y. Maud later received a Baccalaureate degree from Adrian College in Michigan and a master's degree from Drew University in 1958. While serving as a missionary in India, Maud met Charles Reynolds who was serving with the Royal Air Force. On Aug. 8, 1946 she married the Rev. Dr. Charles Reynolds in India who preceded her in death on Aug. 30, 2007. She was employed by the American Board of Ludhiana Christian Medical College for many years until her retirement. Maud and Charles served as Methodist missionaries to Sironcha, India, a remote forest area, for twenty years. Maud was a member of the New Albany United Methodist Church. She enjoyed traveling around the world especially trips to Northern Ireland and India. Surviving are: her cousins, Marguerite Shumway and her husband Thurston, of Harveys Lake, Pa., Harvey Rettberg Sr. and his wife, Sadie of Greenville, S.C.; a brother-in-law, George Craig of Belfast, Northern Ireland; special friends, Rev. James Donahoo and Jane Donahoo of Sayre, Daniel Allen of Evergreen, Pa. A special thanks to Maud's caregivers Margaret Allen, Joyce Kipp and Charlene Roberts. The funeral service will be held at 11 a.m. Thursday May 6, 2010 at the New Albany United Methodist Church with the Rev. Sandy Brant, pastor, officiating. Friends may call from 10 to 11 a.m. Thursday at the church. Interment will follow in the Evergreen Cemetery, Albany Twp., Pa. In lieu of flowers, memorial contributions may be directed to the New Albany United Methodist Church, P.O. Box 19, New Albany, PA 18833 in Maud M. Reynolds memory. Arrangements are under the direction of the Maryott-Bowen Funeral Home, 217 York Ave., Towanda, Pa. May 03, 2010, Towanda Daily Review. Powell Man Killed in Farm Accident- Otis Hibbard, 55, of Powell was fatally injured in a farm accident Tuesday afternoon. Bradford County Coroner Gordon Farr said Hibbard died of a crushed chest and back injuries when he backed a tractor and manure spreader into a barn cleaner shed on the Gerald Arnold farm and was impaled on an elevator. Death was instantaneous said Farr, who pronounced the veteran farmhand dead at the scene. The coroner said Hibbard was found at about 2:10 by Mr. Arnold’s son, Jack. The accident was believed to have occurred at about 2 o’clock, according to Farr. The Arnold’s called the Monroeton fire company for assistance. Hibbard had worked for the Arnolds 16 years. Mr. Hibbard was born August 7, 1917, in Albany Twp., Bradford County, son of Prentice and Ada Dimmick Hibbard. He was a member of the Evergreen Christian Church and was a deacon and treasurer of the church. He held numerous offices in the church for a number of years. He was a member of the Child Evangelism Fellowship of Bradford County. Mr. Hibbard spent his entire life in Albany Township and Monroe Township. Friends in learning of Mr. Hibbard’s death, spoke of their high regard for him and called his death a loss to his community and church. Surviving are his wife, Dora Bloom Hibbard, two sons, Philip D and Gordon D.; two daughters, Myrna I and Myra J., all at home, a sister, Mrs. Helen Carpenter of Evergreen, two aunts, Mrs. Bertha Henderickson of Evergreen and Mrs. Gladys Hibbard of Milan; several nieces and nephews. The funeral will be held Friday at 1:30 p.m. at Evergreen Christian Church with the Rev. Laurence Thomas, his pastor officiating. Interment will be in Evergreen Cemetery. LARUE J. KOBBE of Tunkhannock, died on Sunday Nov. 11, 2001, at the Geisinger Medical Center in Danville. He was born in Sayre on April 26, 1953, son of Gertrude Robinson Kobbe of New Albany and the late LaRue J. Kobbe Sr. He was a graduate of Wyalusing High School, class of 1972, and worked for Procter and Gamble in Mehoopany for 21 years. He attended the Mehoopany Baptist Church. He was preceded in death by a nephew, Kevin Sutton. He is survived by his wife of 12 years Catherine East Kobbe; son and daughter-in-law, Jud and Jackie Kobbe, all of Tunkhannock, daughter and son-in-law, Tessa and Joe Pitchell of Phillipsburg; daughters, Laura Arnold of Tunkhannock and Paula Wright of Atlanta, Ga.; brothers, Lonnie Kobbe of Sayre, Pat Kobbe and Lester Kobbe, both of New Albany; sister, Wanda Sutton of Wyalusing; seven grandchildren; special addition to the family Will Faux of Tunkhannock; several aunts, uncles and cousins. Funeral service will be held on Friday, Nov. 16, at 11 a.m. at the Mehoopany Baptist Church, with Pastor Robbie Locke, pastor of the Mehoopany Baptist Church, Pastor Glen Spencer, pastor of the Vernon Baptist Church; and Pastor Larry Thomas, pastor of the South New Milford Baptist Church Interment will be at Evergreen Cemetery, New Era. Friends may call at the Sheldon-Kukuchka Funeral Home Inc., 73 W. Tioga St., Tunkhannock, on Thursday evening from 7 to 9 p.m. and at the Mehoopany Baptist church on Friday from 10 a.m. until the time of the service. –Towanda Daily Review. MILO KOBBE, age 77, died on Friday, Oct. 3, 2003, at Health Center of Windermere, in Orlando, Fla. He was born in Sullivan County and lived in Binghamton, N.Y. until moving to Clermont, Fla., in 2000. He was a veteran of the U.S. Army and was a member of the American Legion Post No. 1645 in Binghamton. He was employed by the Binghamton Brick Co. for 35 years, and Bowen Building Block for 11 years. He is survived by his wife, Norma; their five children; Allen and Barbara Kobbe of New Hartford, N.Y., Chery and Ray Badger of Groveland, Fla., Richard and Judy Kobbe of Ft. Pierce, Fla., Blanche and Doug Engates of Clemont, and Milo Jr. and Linda Kobbe of Hudson, Fla.; 13 grandchildren; 24 great-grandchildren; and a brother, Leonard Kobbe of Overton; as well as several sisters-in-law and many nieces and nephews. He was predeceased by five brothers and one sister, all of Pennsylvania. A funeral service will be held on Sunday, Oct. 11, at noon in the Russell P. McHenry funeral Home, 119 Carpenter St., Dushore, with the Rev. Howard Carr, pastor officiating. Interment will follow in evergreen Cemetery. In lieu of flowers, contributions can be made to the Vitas Hospice Charitable fund, 123 Southeast Third Ave., PNB 110, Miami, Fla. –Towanda Daily Review. KOBBE –MYRTLE KEENEY, age 84, of New Albany, Pa., died Saturday, Sept. 26, 199, at Memorial Hospital in Towanda, Pa. Born Aug. 22, 1915, in Elkland Township, Sullivan County, Pa., she was the daughter of the late Ernest and Edith Chapman Kobbe. Myrtle was a lifelong resident of the Bradford and Sullivan County area. Myrtle memberships included in Independent Baptist Church of Towanda; Widowed Persons Association and the AARP. Myrtle enjoyed time spent crafting and crocheting. In February 1990, was preceded in death by her husband, Lester Keeney. She left surviving a daughter and son-in-law, Charles and Marjorie McGroarty; three brothers and sisters-in-law, Leonard and Virginia Kobbe, John Kobbe and Dorothy Elsworth, Milo and Norma Kobbe; three sisters-in-law, Bertha Kobbe, Gertrude Kobbe and Frances Kobbe; grandchildren, Michael and Margaret (Peggy) McGroarty, Maureen Maynard, Mathew and Tina McGroarty and Edward and Michelle McGroarty; great-grandchildren, Josh and Karen McGroarty, Beau McGroarty, Dalton and Dylan Maynard, Lacey and Kira McGroarty; and many nieces and nephews. Funeral services will be held Wednesday, Sept. 29, 1999, at 2 p.m. in the Russell P. McHenry Funeral Home, 119 Carpenter St., Dushore, Pa. with the Rev. Donn Houser, pastor of the Independent Baptist Church, and the Rev. Michael Dodd, pastor of the Evergreen Christian Church, officiating. Interment will be in Evergreen Cemetery, New Albany, Pa. Friends and family may call on Tuesday evening, Sept. 28, 1999 at McHenry funeral Home in Dushore from 6 to 8 p.m. Memorials may be directed to the Independent Baptist Church, 109 Cherry St., Towanda, Pa. or the Evergreen Christian Church, RR, New Albany, Pa. in Mrs. Keeney’s memory. –Towanda Daily Review. GARY DEAN MORGAN, 54, New Albany, PA, died unexpectedly, July 8, 2003. Born on December 11, 1948 in Blossburg, Pa., he was the son of Melvin and Joyce Leighton Morgan. He moved from Shunk to the New Albany area ten years ago. On June 3, 1995, he married the former Susan Tollaksen from Lancaster. His hobbies were hunting, fishing, and he enjoyed his Harley Davidson. H e was a member of the National Rifle Association. Prior to his current employment at P&G he worked as a heavy equipment operator for Watsontown Brick; he also worked for Coal Works, Inc. of Mildred, PA; and drove truck for 15 years as an owner operator. Surviving are his wife, Susan Morgan, at home; children, Kelly (Nina) Morgan, North Carolina; Keri Boyd, Towanda, PA; step-sons, Thomas (Kendra) Tollaksen, Mehoopany, PA; Michael Donnelly at home; a step-daughter, Christine Donnelly, at home; brothers and sisters; Dewey Morgan, Muncy Valley, PA; David Morgan, Ogdensburg, PA; Karen O’Connor, Shunk, PA; Dawn Perry, Williamsport, PA; Jolene Morgan, Hughesville, PA; Cindy Gustin, Troy, PA; Sheila Minnick, Shunk, PA; a grandson, Nicholas Morgan; step-grandchildren, Abigail and Thomas Tollaksen, Alexis Fryer, Alexander Mosier and many nieces and nephews. Funeral services were held Jul 12 in the Russell P. McHenry Funeral Home, Dushore, PA with the Rev. Herbert Eby, pastor of the Wheelerville Church, officiating. Interment followed in Evergreen Cemetery, New Albany, PA. –Canton Independent Sentinel. ROBINSON Harland L. “Bub” Robinson Jr.